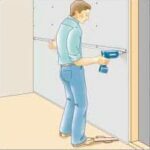 Build a closet yourself, following these illustrated step-by-step techniques, including wall framing, paneling, and finishing. 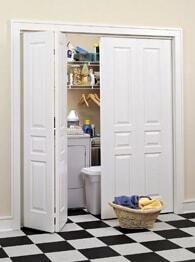 Bi-fold doors conceal this utility room closet. Need more closet space? 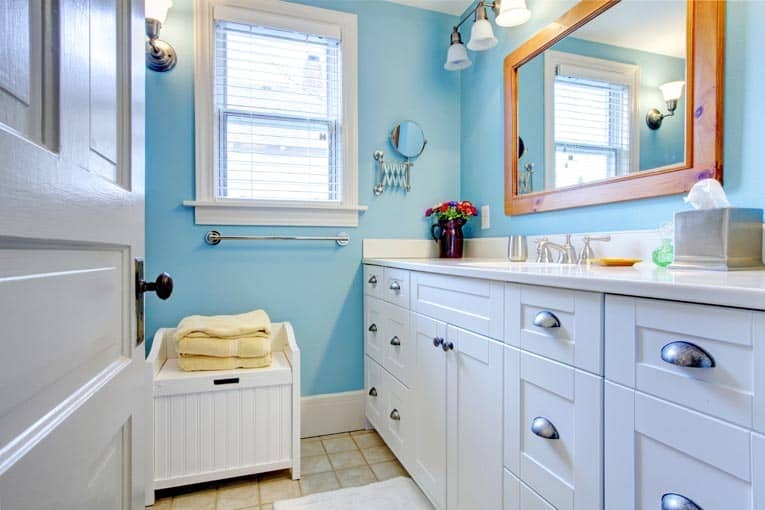 If you have adequate floor space and some basic carpentry skills, you can build a closet in a bedroom, guest room, den, or hallway that will look like it has been there all along. The first step is to build a closet frame and fasten it to the surrounding walls. Next, you will trim the door opening and install the door(s) of your choice. Finally, you will hang the closet rods or customize the interior with rods, shelving, drawers, and any other accessories you desire. 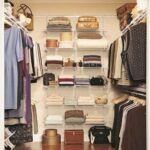 For information on outfitting a closet with an organizer, please see How to Install a Closet Organization System. 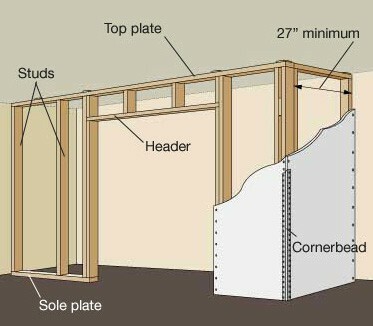 Plan to build a closet frame from 2 by 4s, allowing an inside depth of at least 27 inches. You can construct the frame in one of two ways: Build the walls flat on the floor and then raise them up into position, or build them in place. It is much easier to nail the framing members together on the floor if the room has a large, clear area to accommodate this. 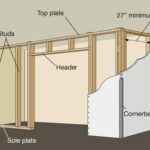 But, using this method, you will have to make a slight modification in the height of the closet walls because it is impossible to tilt an 8-foot-tall wall up into an 8-foot-high space. So, build the wall about 1/4 inch shorter than the height of the ceiling, and then place shims or thin blocks between the top plate and the ceiling. First, mark the positions of the top plate and the sole plate. On the ceiling, mark both ends of the center line of the new closet wall. Measure 1 3/4 inches (half the width of a 2-by-4 top plate) on both sides of each mark. Snap parallel lines between corresponding marks with a chalk line to show the position of the top plate. Next, hang a plumb bob from each end of the lines, and mark these points on the floor. Snap two more chalk lines to connect the floor points, marking the sole plate’s position. If the closet has a side wall return, lay out the top plate and sole plate in the same way; use a framing square to make sure this will be perfectly perpendicular to the front wall. Cut each sole plate and top plate to the desired length. Mark the top plate and the sole plate together for stud locations, using a square and a pencil. 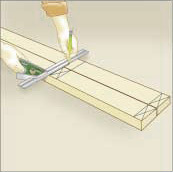 Lay each top plate edge to edge against its sole plate and flush at both ends. Beginning at an end that will be attached to an existing wall, measure in 1 1/2 inches (the thickness of a 2-by-4 stud), and then draw a line across both plates using a combination square. Starting from that end, measure and draw lines at 15 1/4 and 16 3/4 inches. From these marks, advance 16 inches at a time, drawing new lines for stud locations until you reach the far end of both plates.